aamra companies, one of the leading conglomerates of the country, has recently won 4 prestigious HR Awards. To begin with aamra won the most revered – “Best Leadership Development Program of the year 2017″ award at “World Organizational Summit”. This reputed honor is awarded to people oriented organizations of Asia Pacific region who have exemplary achievement in patronizing leadership, capacity development and promoting CSR activities. This award was jointly organized by Employee Brand Association (EBA) and Time Ascent. In addition to the above, aamra’s Group Chief People Officer (CPO) Ajeyo Rohitashwo ~ Al Quazi won 3 awards. Ajeyo was honored with “100 Top HR Tech Minds” award which was given for Ajeyo’s contribution in aligning HR activities with the technology. 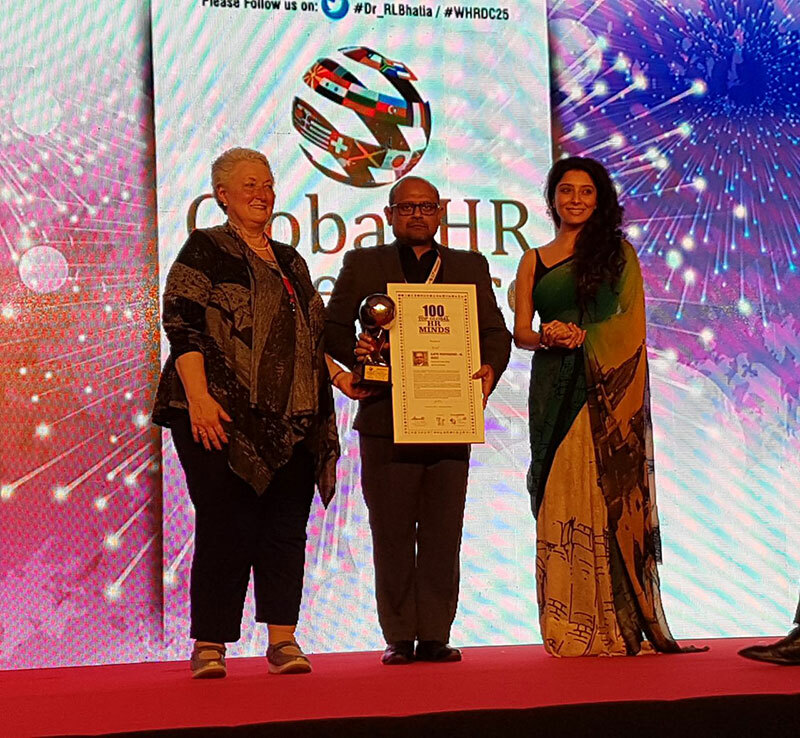 Ajeyo received the second award for being in the “100 Top Global HR Minds”, which came as a result of his remarkable works in bridging the gap between 4th Industrial Revolution (4 IR) and existing HR practices. Lastly, Ajeyo also won “HR Star Award” for his contribution to the HR arena of Bangladesh as the country’s leading HR Professional. These awards were jointly presented by World HR Congress and CHRO. Ajeyo is widely recognized as one of the iconic HR leaders of Bangladesh for his philanthropic initiatives of grooming and capacity building of Bangladeshi youths. It is worth noting that Ajeyo has received 12 international HR awards in last 5 years. aamra over the years have devoted itself in enhancing sustainable development of leadership by practicing a coherent and inclusive corporate culture – “Leading the aamra way”, initiated by its group HR team aligning it with the core HR belief – “Shigoto”. It is worth adding that aamra also received the prestigious “World Global CSR Award” in 2017 for aamra’s unique initiative of “Believe in Bangladesh” program. To add to that, the organization also won the revered “HR Leadership Award 2016″ and the “Dream Companies to Work For Award 2015″, awarded by Employee Brand Association (EBA). The award ceremony was held at Hotel Taj Lands End, Mumbai on February 15th & 16th, 2018.